We are living in a world full of chaos. In the modern era, human beings have become so much busy that they hardly have any time to look upon themselves. This is what has led to a rapid decline in outdoor activities of youngsters especially teenagers and kids. This, in turn, has also encouraged a brisk amelioration in the Gym culture. With so many fitness equipments, maintaining the body shape and physique looks even easier. Treadmills obviously are one of the most used equipment. In this section, we will have a brief look at some of the best treadmills for running. 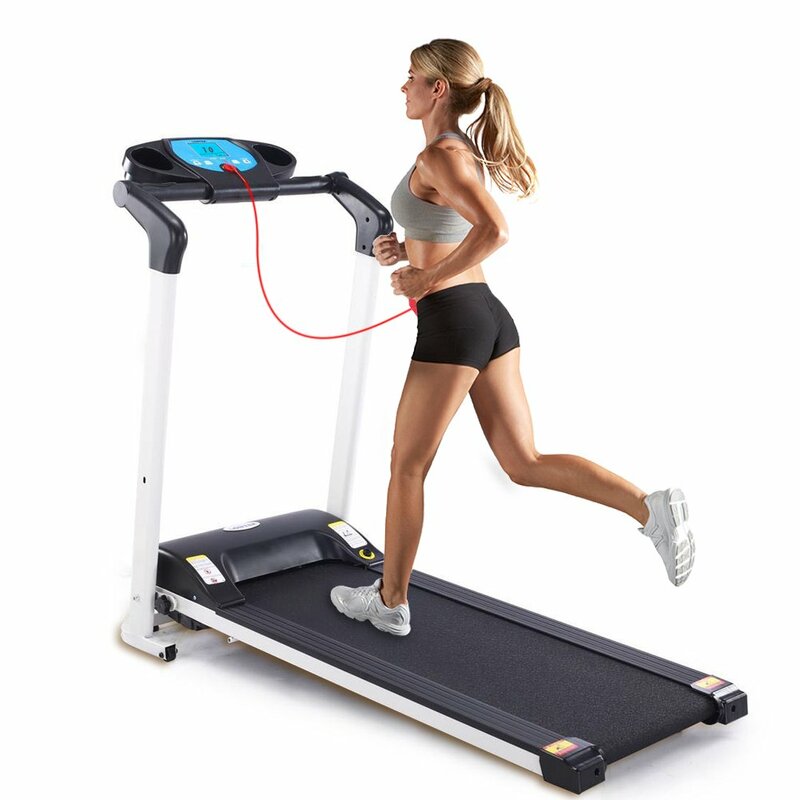 Weslo Cadence is perhaps the most famous and best home treadmill for running. With so many adjustments available for the mechanism, it can also be a great choice for premium Gyms. These days it is a lot more in demand. 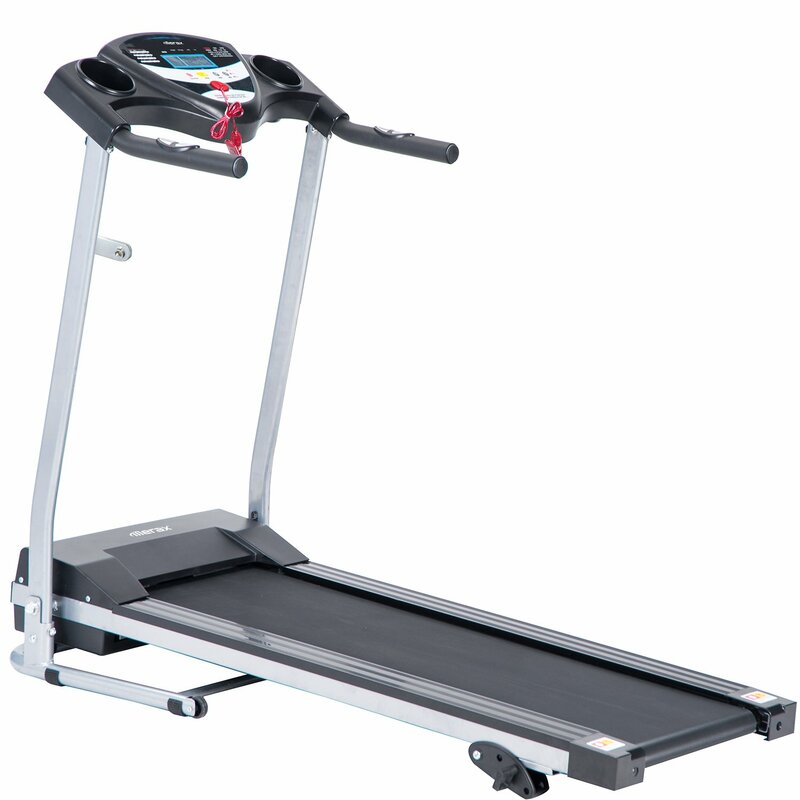 It is one of the best rated treadmills. It has six personal training options, which you can adjust according to your need. It automatically adjusts to your need for your commands. If you need more vigorous exercise you can go for higher levels of personal training. The incline is durable and can be affixed easily seeing the comfort of the person who wants to be trained. It has two features Manual Incline and Comfort Cell Cushioning. There is a special blue tinted LED display. It can be used to track the time, speed and calories burned. The cushioning helps in the swift movement of every stride. There is also a pulse rate monitor. The specialty of this monitor is one can get an accurate reading just by placing the thumb while running. 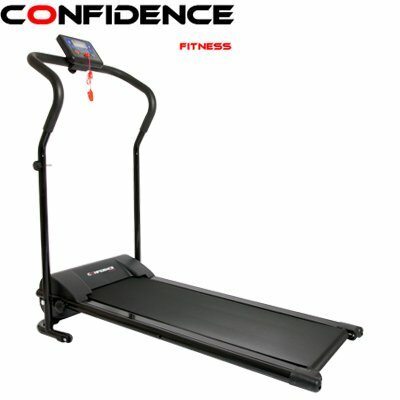 Another added bonus is that Weslo Cadence is one of the most affordable treadmills. In the health and fitness sector, Sunny Health and Fitness have always been a prominent and trusted name. It has been more than a decade and its products are sold worldwide. Not a hidden fact, that the treadmill workouts are one of the top fitness trends currently. Talking about some of the best treadmills for running, Sunny Health and Fitness's SF – T 4400 is a name to be considered surely at the top. The running surface is comfortable for every human being. It has a good dimension of around 48” x 15”. The minimum speed and maximum speed can be set on the amount of load one can take. It is advised to start with the minimum and increase the speed week by week. The minimum and maximum speed hover around 0.5 mph and 9 mph. The screen can calculate the Body Mass Index (BMI). It also shows speed and calories burnt. There is also a pause button to stop the belt. When on pause, the stats remain intact, so that you can take a short break of few seconds and resume from where you had left. There are three variations possible in the incline percent, i.e., 0 %, 2 % and 4.37 %. Besides, all this it also comes with attractive features like safety lock and power saving function. Plus, it is also lightweight only at 103 Lbs. It is certainly one of the best treadmill brands. 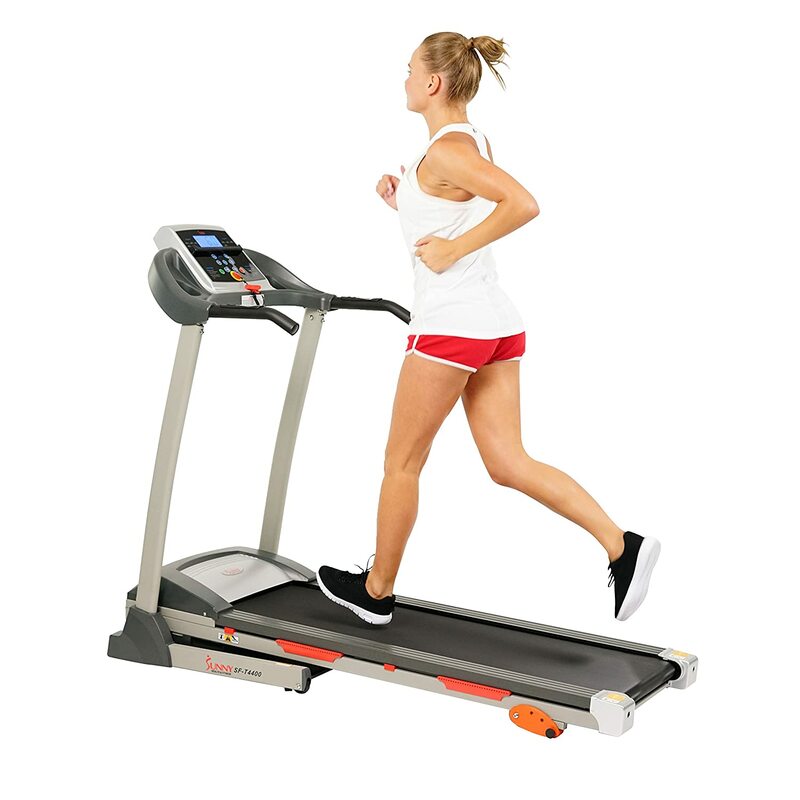 If you are seeking for something stylish and bankable then Merax JK 1603E Easy Assembly Folding Electric Treadmill Motorized Running Machine can be your ultimate solution. It has a contemporary design that separates it from all its competitors. Pre-set programs can be used as per the requirement. If you need to burn more calories then you should go for the higher level, for the sake of fitness and endurance, you should try to do more workout at a medium level. This will increase your stamina and will add to your resistance capacity. The minimum and maximum speed hover around 0.62 mph and 6.2 mph. The running surface is little less, but since it is more trendy in style, the purchaser can compromise on that confront. It comes with a dimension of 44 inches x 14 inches. There are three built-in programs. Added to it, there are also three inclined positions. With style also comes savings, as it does not consume much of the power supply. It takes 110 volts. Small adjustments in turns are also recommended. It comes on the list of best treadmills for running because it comes with a genuine warranty. Yes, you heard it right. It comes with a one year warranty on frame and motor. The name itself reflects Confidence as this brand has won hearts of many people past few years. This brand has endorsed this equipment with the highlight that it can deduce about 900 calories per hour. We certainly do not know how much this claim can be real, but sitting here we can estimate that nothing can be achieved without putting efforts. So, if you wish to deduce 900 calories every hour, then you should be highly committed as well. The runway size is smaller as compared to the others in the competition. The dimensions are 38.5 inches by 14 inches, which is little less, but okay if you don’t have a large area. The advantage that it has is it requires comparatively less electricity. Added to it is also that it is very light in weight. The weight approximately hovers around 57 Lbs. 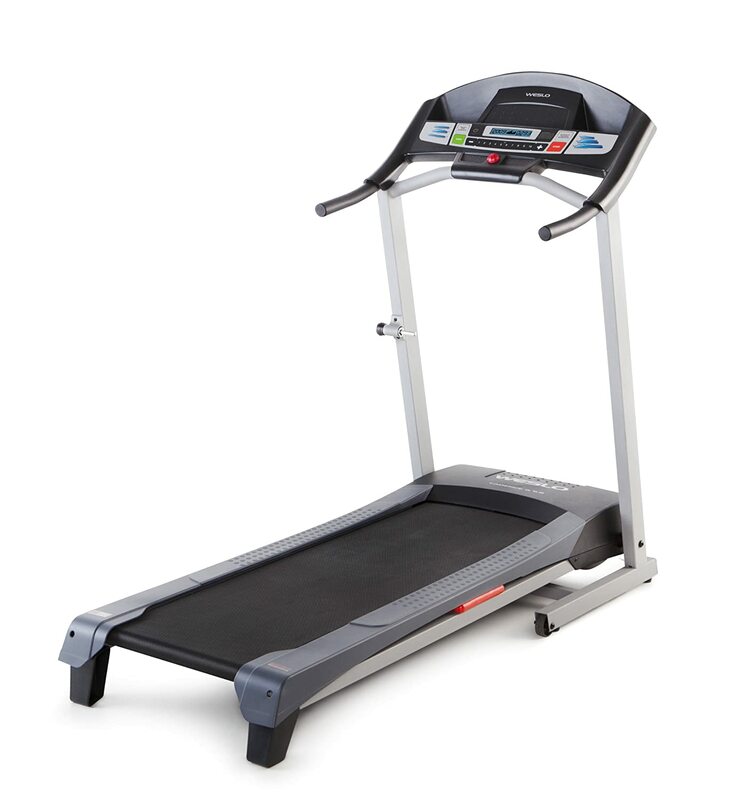 Therefore, it certainly is the best inexpensive treadmill for runners. The discussion on cheap treadmills is incomplete without Weslo Cardiostride 4.0. This treadmill is a lot more basic and easy to use. This is why it is the second treadmill of Weslo which makes its place easily in top 5 of our list. The dimensions are 41 inches by 16 inches, which is considered good. The weight is 250 Lbs. which will be considered as a drawback. There is only a 90-day warranty on parts which is not amusing again. It can be folded easily to avoid storage problems. Another great thing is the price is very less and if you look at the features, then you are surely getting value for your money. Is your life so busy that you cannot take out time to go to the gym, but you always have the longing and dedication for a workout? If this is the case, then there is nothing better than AW 1100W Folding Electric Treadmill Portable Power Motorized Machine Running Jogging Gym Exercise Fitness. 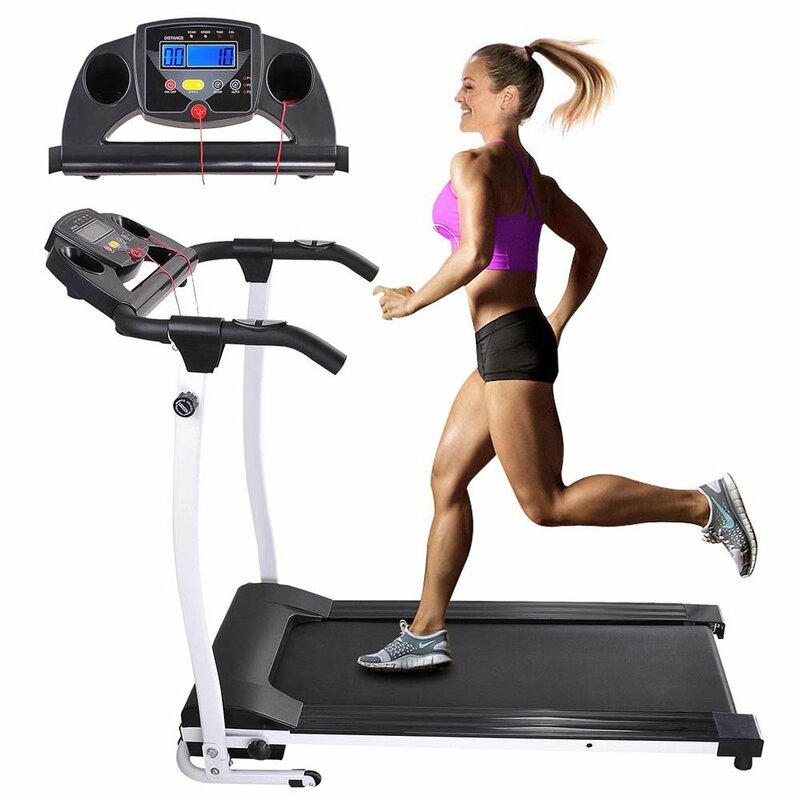 This treadmill can be installed easily at home or office and gives you all that you need for a good running session. It has a heavy-duty steel conductor and an almost noiseless motor. It comes equipped with a multi-function LCD. This LCD can be used to track speed, distance and heart rate monitoring. Adjustments for speed can be anywhere from 1 kmph to 10 kmph. There are two water bottle holders on both of the adjacent sides. The dimension is 55 inches by 22 inches which is excellent. The weight is extremely light around 57 Lbs. Did you ever wish to run on treadmill along with your favourite song with some black coffee? 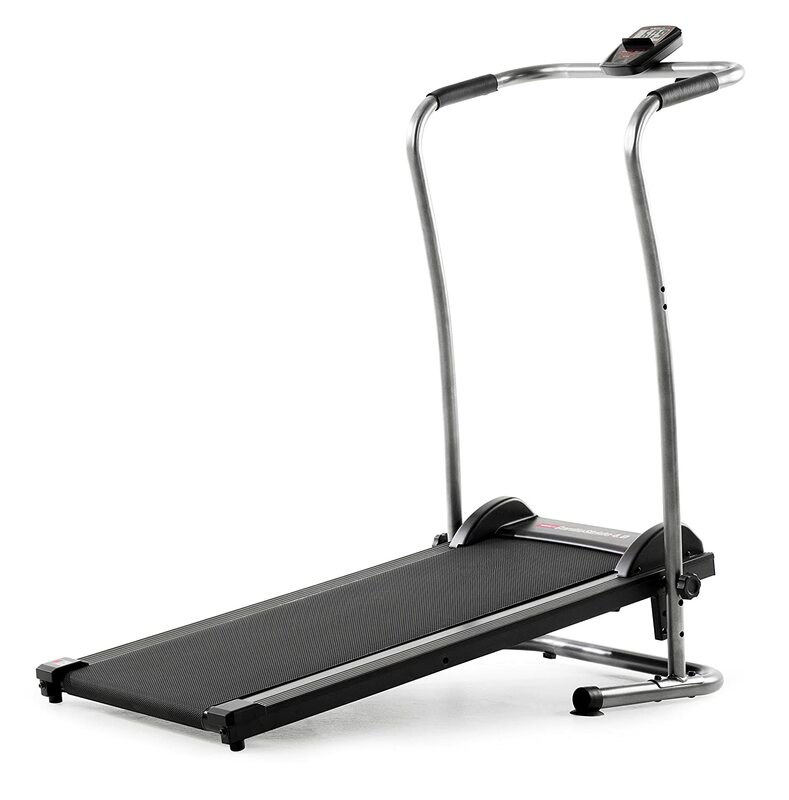 If yes, then ZELUS folding electric treadmill can be your best companion. 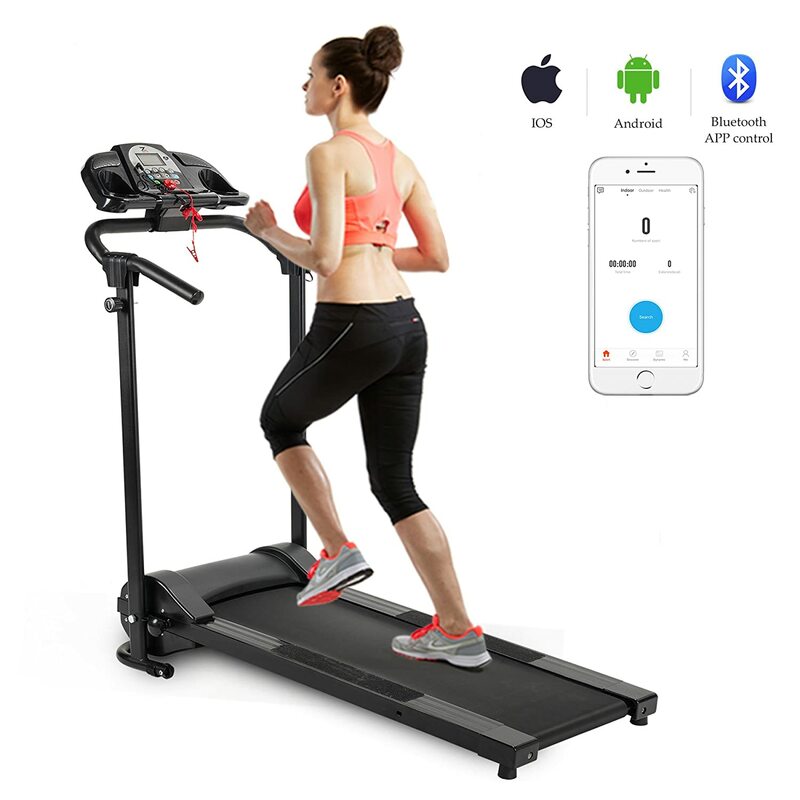 It is an easy to use treadmill which offers you to link your phone to Bluetooth and play songs. There is also a cup holder where you can keep your coffee mug easily. The running surface is quite wide. In fact, it is a treadmill with one of the largest running surface. Its dimensions are 55 inches by 23 inches. You can scan the QR code and download an app which will guide you more how to use the equipment and plan your workouts. It always happens that some fitness freaks withdraw from installing training fitness equipment due to lack of space. 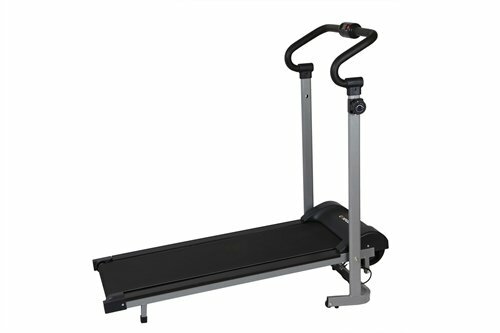 This is a simple basic treadmill which is easy to install and use. The dimensions of running surface are 41 inches by 15 inches. It starts with a minimum speed of 0.5 mph. 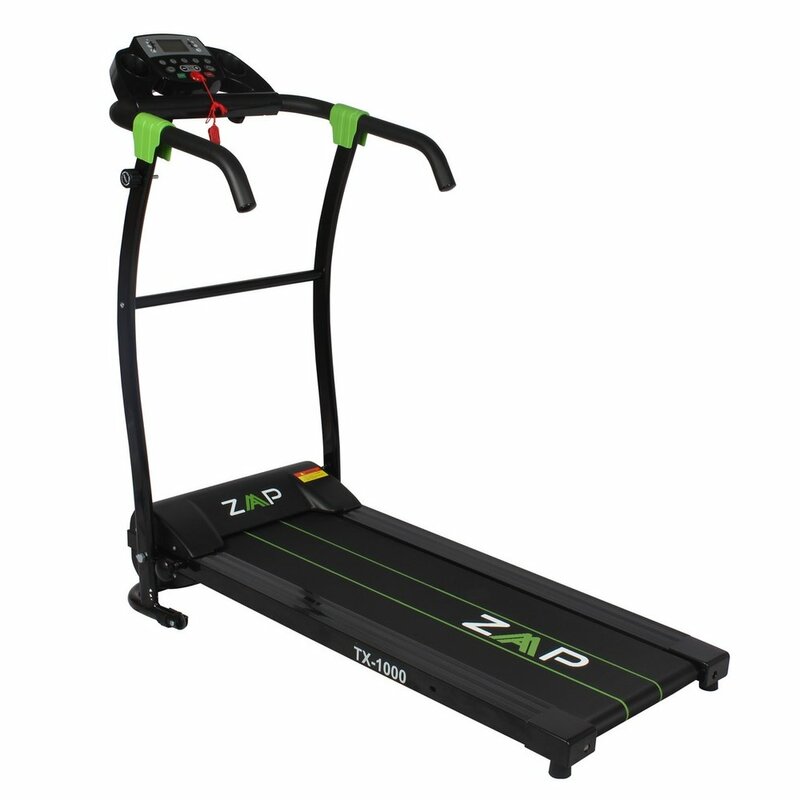 If you were looking for a pro and cheap treadmill, then your quest can come to an end at ZAAP TX 1000. The folding design does not take much of space. The running surface is little less. It is approximately about 38 inches x 14 inches. It has all the features of measuring speed, distance and choosing training time. This is a good treadmill for those who like to do work out in their home. There are 8 magnetic resistance levels, which can be used according to the convenience. There is a small multi-function computer for measuring speed, calories, distance and other important things. The dimension of the running surface is great 52 inches by 24 inches. The weight hovers around 60 Lbs. Now after a brief discussion about best treadmills for running, let’s continue our discussion on a vibrant topic. It has been seen that over the years people have become more reluctant towards stepping out of the door. But it has also been seen that people have grown consciousness towards fitness. There are more fitness freaks than ever. There are people who are always succumbed to the question which one is better running outside or on treadmills. There are two divulging opinions. The one from old school believes that sweating in the gym is something not worth considering as you spend a lot of money on getting training done and acquiring protein. On the other hand, they feel that going for running outside is best because it engulfs your nervous system and brings your body in direct contact with nature. The other thought can be classified as something that has built upon realistically because of the modern societal development these days. There should be an understanding that there is lack of time in everyone’s life. So, there are more calories that need to burn in less time. Treadmills are an outright solution for this. Not only this, treadmills also have an edge if you wish to increase your endurance, as you can practice running on it anytime. As a matter of fact, if one judges things honestly, there is certainly plus points in both of them, and one certainly cannot ignore them. The one thing which needs not to be overlooked in deciding between running on treadmill vs. outside is suitability. If you have an athletic body then you should surely do more outdoor running. Treadmill is one of the most ‘easy to use’ workout equipment as compared to other in-home workout equipment. A treadmill can help you track your progress. The digital monitors in various treadmills record your heart rate, time, distance, and calories burned. Treadmills can also help in customizing your workout programs to give you the best results. A treadmill not only helps in loosing weight, but it also does wonders to the joints. If you suffer with arthritis, running on a treadmill is the best way to keep unwanted pain at bay. The best part of having a treadmill is that you no longer have to have a boring workout session and you can listen to your favourite music or watch your favourite TV show. One thing which should not be forgotten here is the fact that only those people are rewarded with results who have an impeccable commitment towards their training sessions. Regularly following a routine is necessary. Remember, cheating on your exercise is cheating on yourself. So, never compromise with your health and budget when it comes to buy best treadmill for running.